Taiho people adhere to the value of “satisfy the customer, pursue innovation, surpass selfhood, serve the society”, persist in taking the lead in the industry, serve every customer faithfully, focus on every demand of the customer, provide the superior product and excellent service for the customer, and share the best technology and service with every Taiho customer and partner. As of the end of 2015, Taiho has become the enterprise with CCD color sorter of leading-edge domestic market share, the products exporting to numerous countries and the export sales volume in the top in the Chinese color sorting industry. The products are sold in various regions of China and other more than 40 countries and regions, and are widely received and recognized. 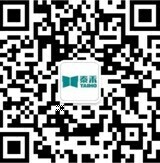 Service supreme and serving China and the world attentively is the customer service concept of Taiho. Taiho possesses a reliable after-sales maintenance and service team, and fast and efficient service response and feedback system. 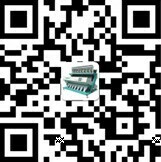 If our customer has any problem and fault in China, the world and any place Taiho equipment arrives, our after-sales maintenance engineer will communicate and contact with you timely, solve the problem for you, and guarantee the stable running of the equipment. Creating the value for customers constantly will be our eternal pursuit.